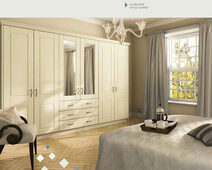 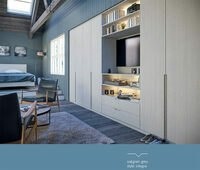 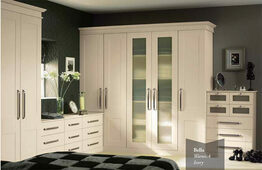 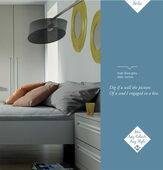 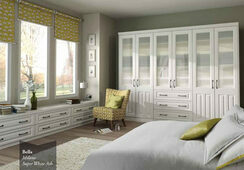 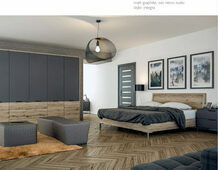 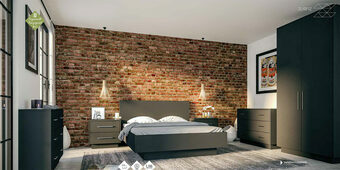 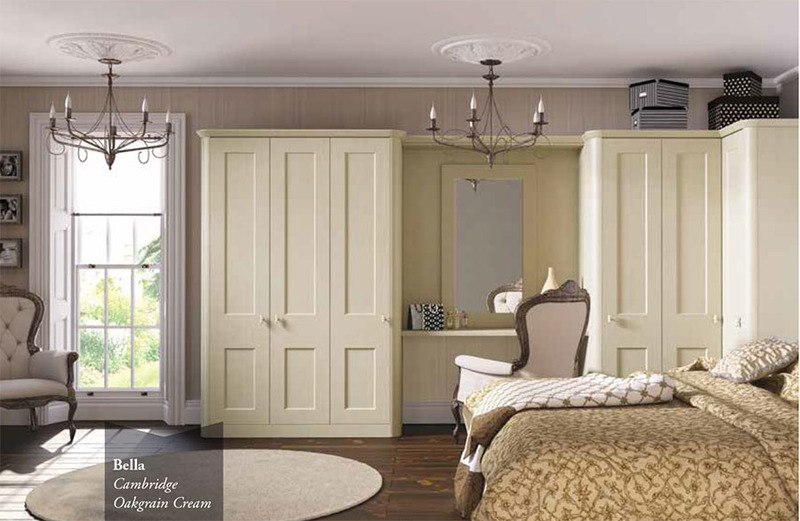 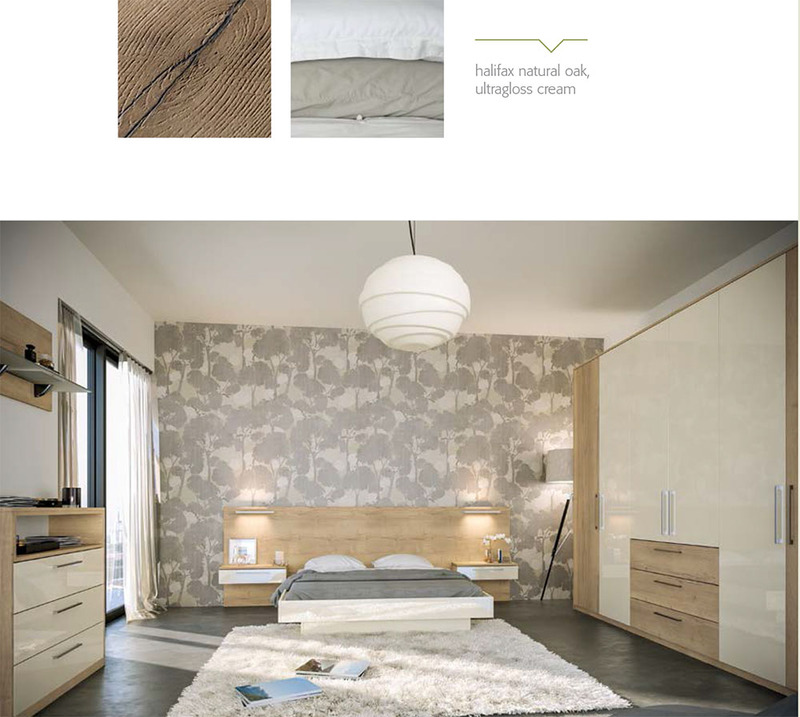 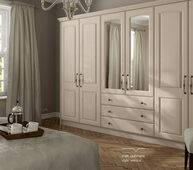 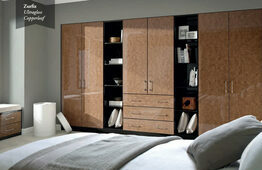 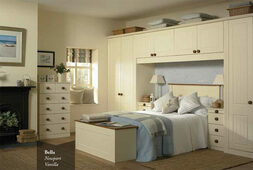 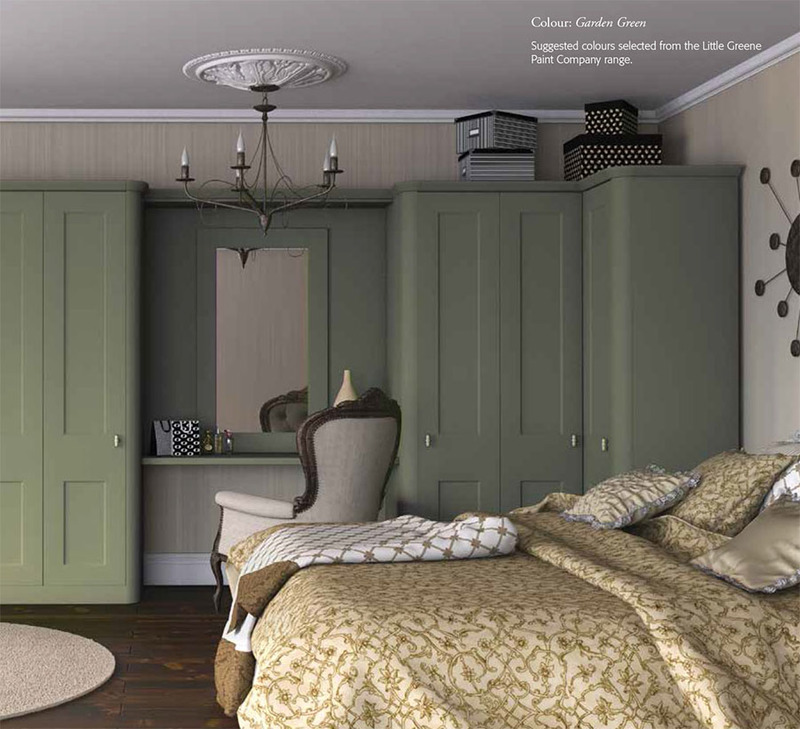 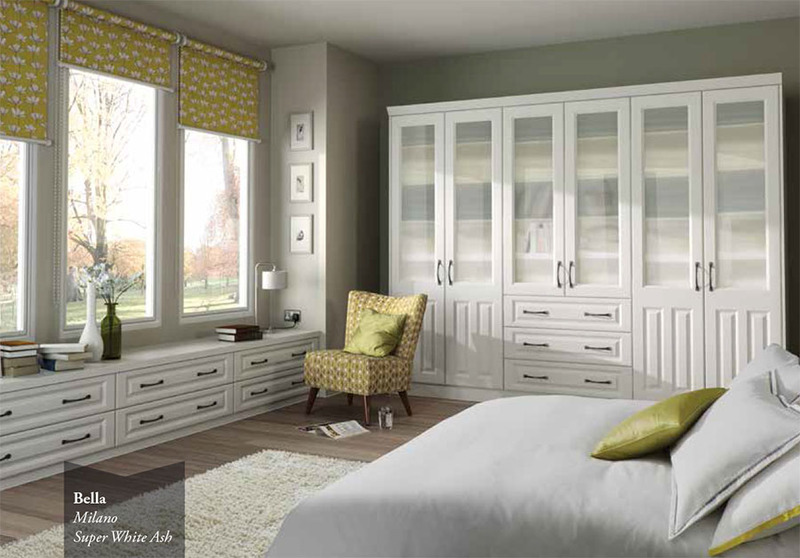 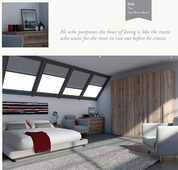 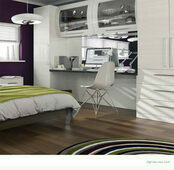 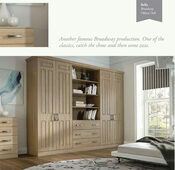 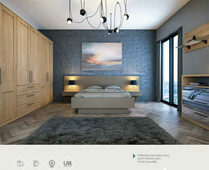 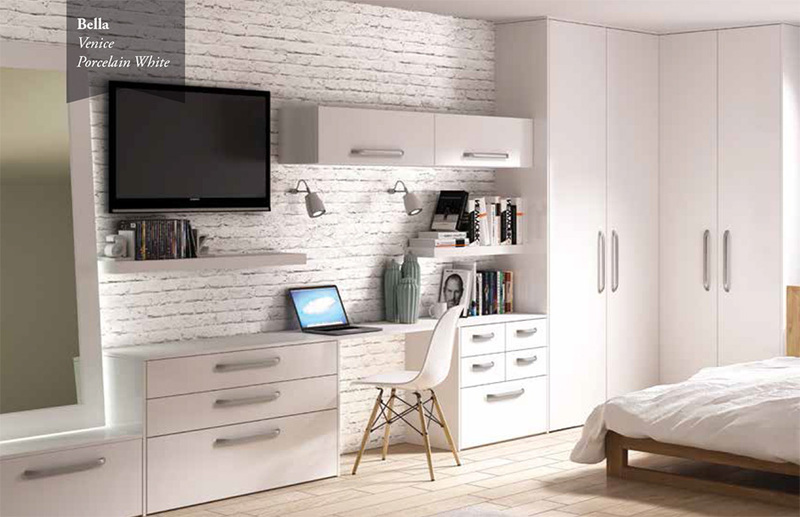 JHS offer a complete bedroom refurbishment service to meet the individual requirements of each client. 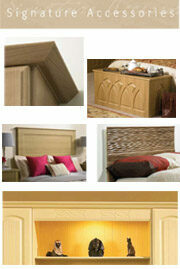 Our commitment to excellence is demonstrated by the skills of our craftsmen and the quality of our materials. 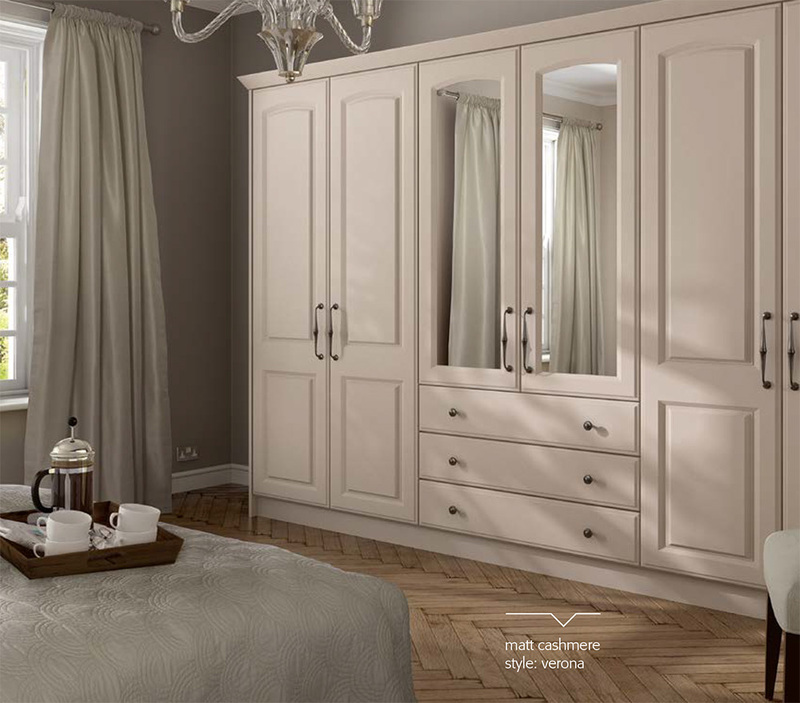 With almost 25 year’s experience we have gained on ability to learn, understand and resolve any problems within your own bedroom! 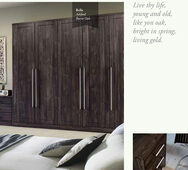 This range is ideal for people who want "the look” but are on a budget. 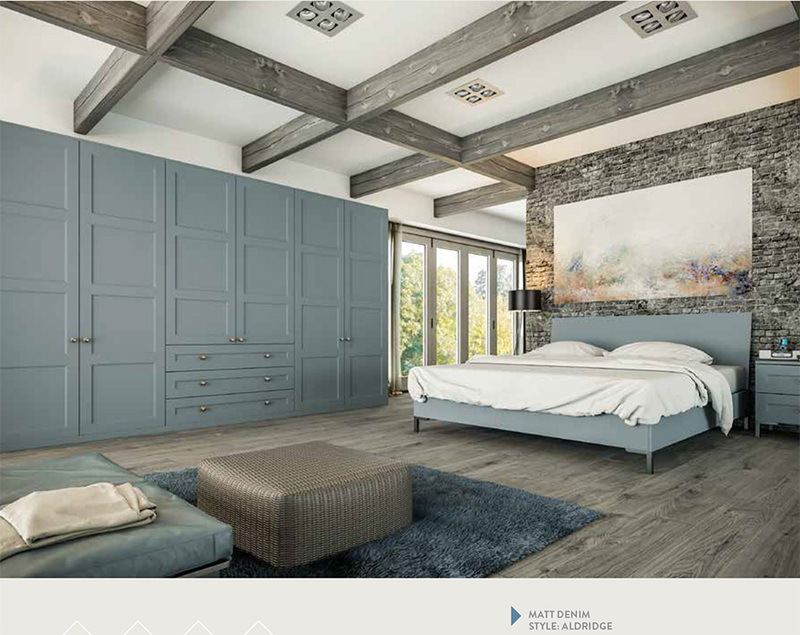 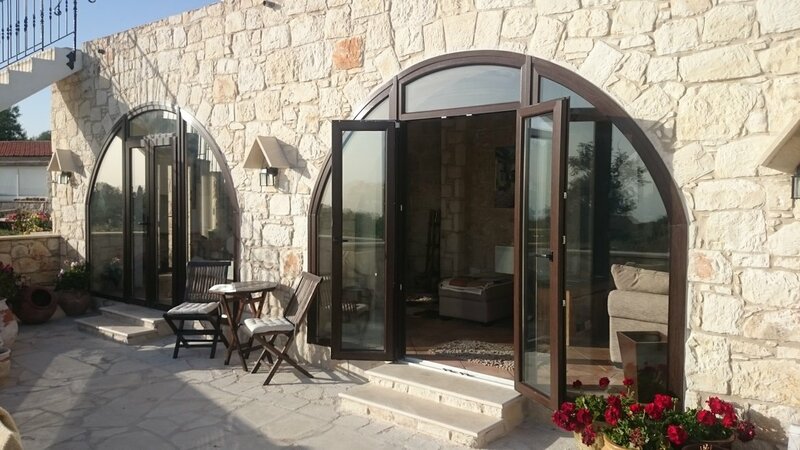 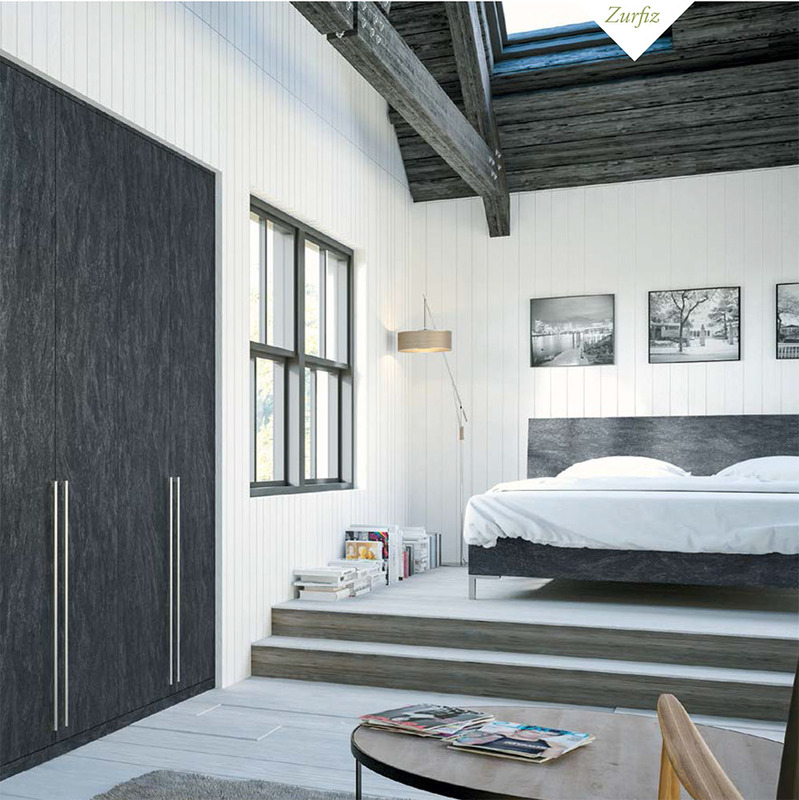 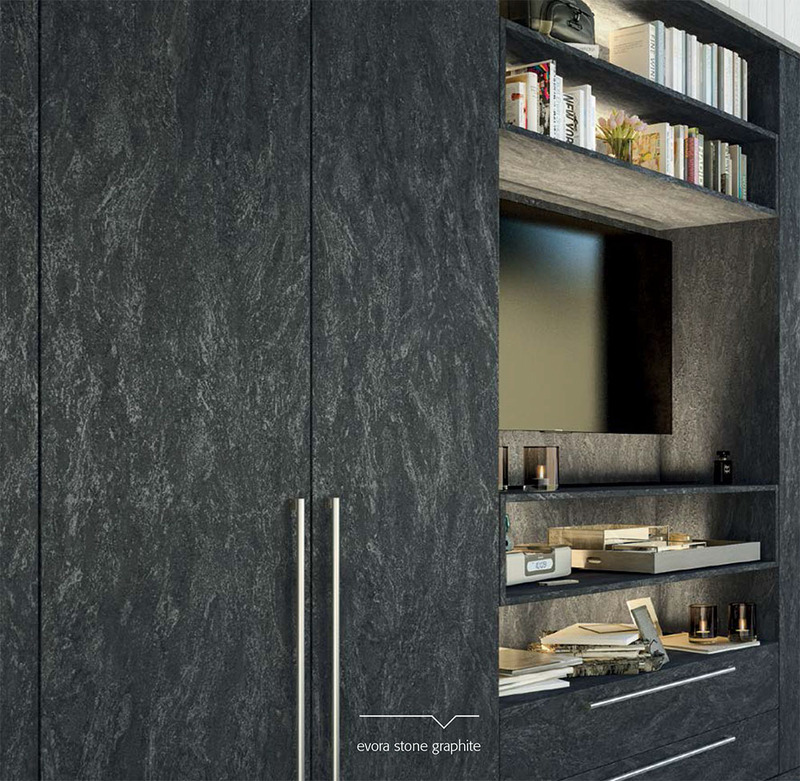 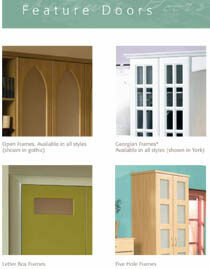 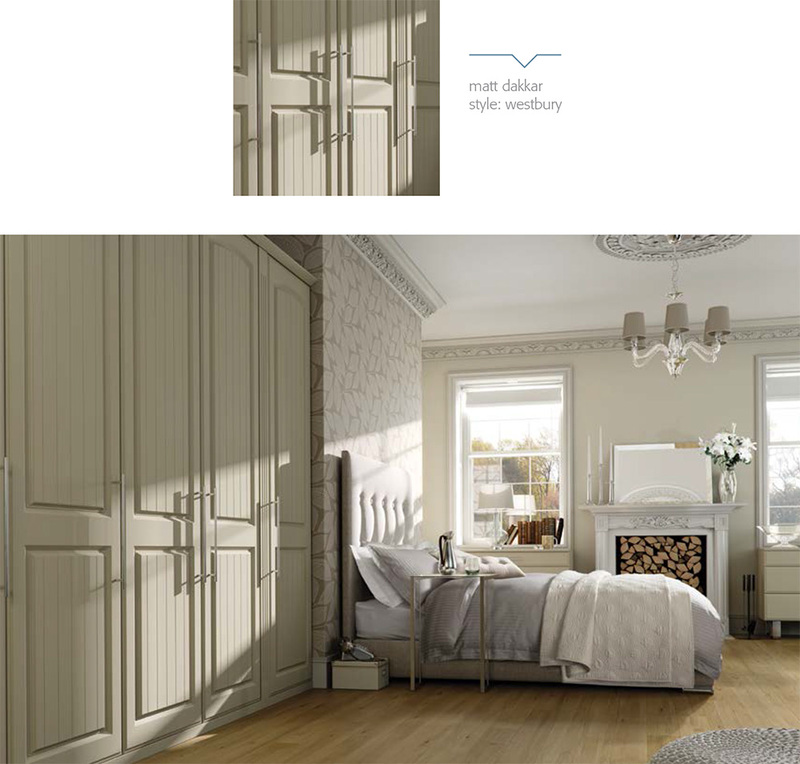 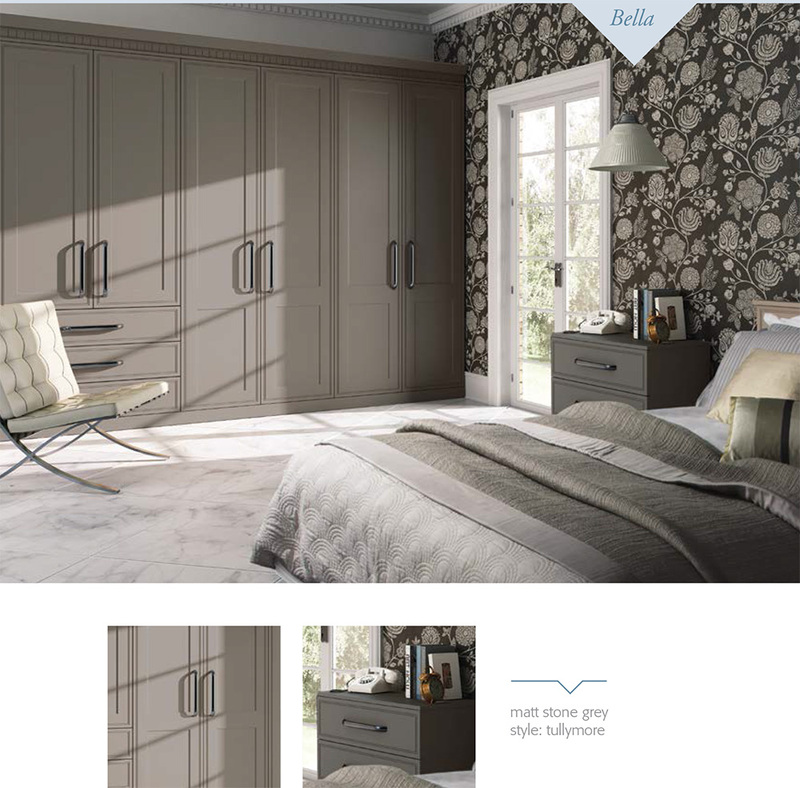 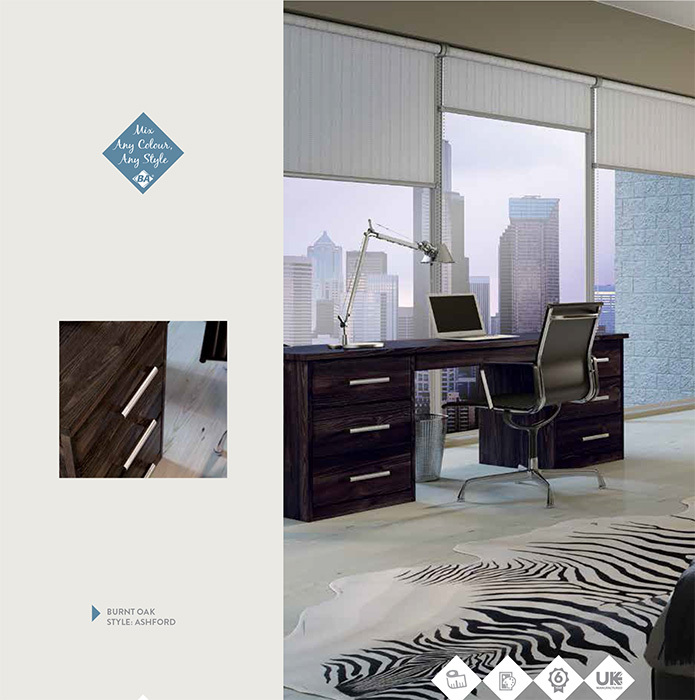 A stunning and comprehensive made to measure collection of ultra-modern doors. 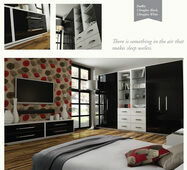 • Available in kitchen, bedroom, sliding and non-standard sizes. 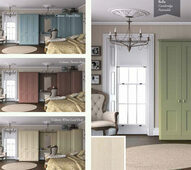 • 18 colours with 3 edge options. 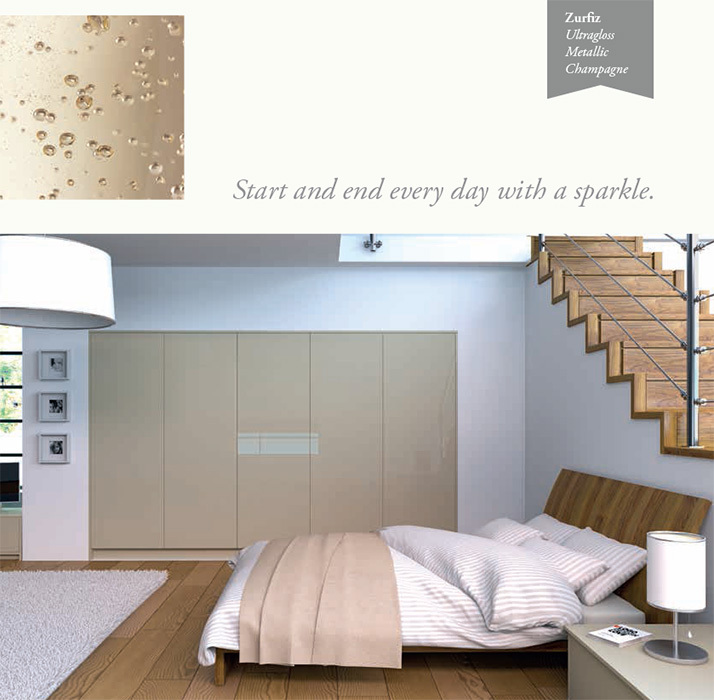 • 18mm MDF with finishes in Senoplast Acrylic, PET, PVC and lacquered. 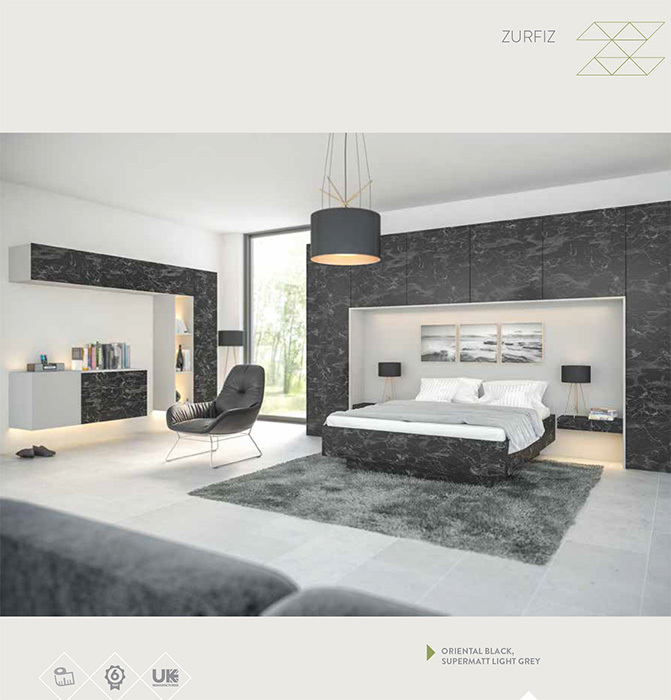 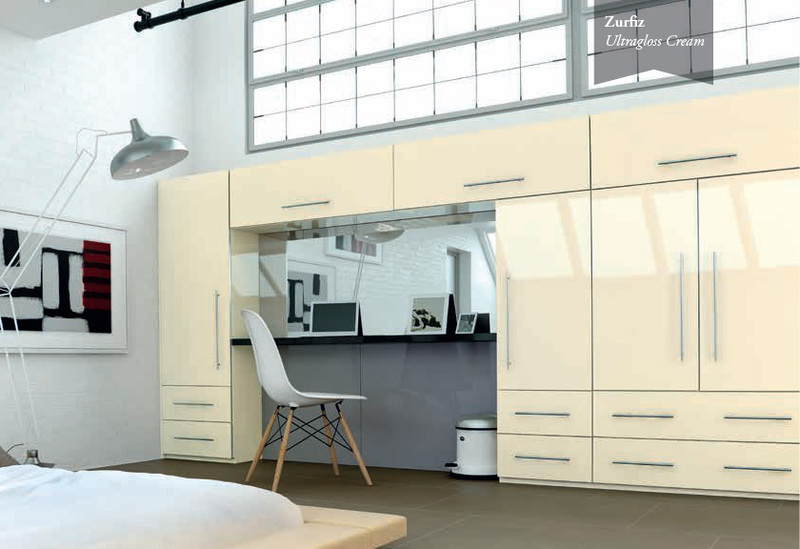 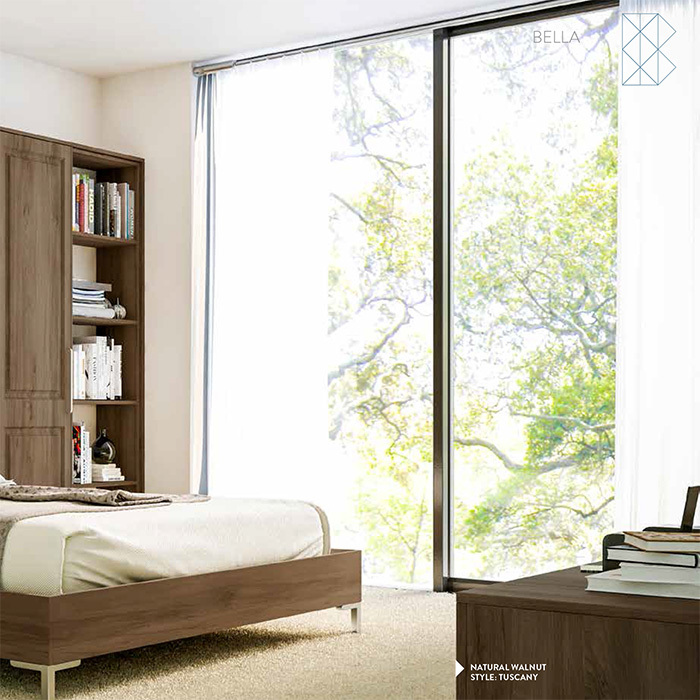 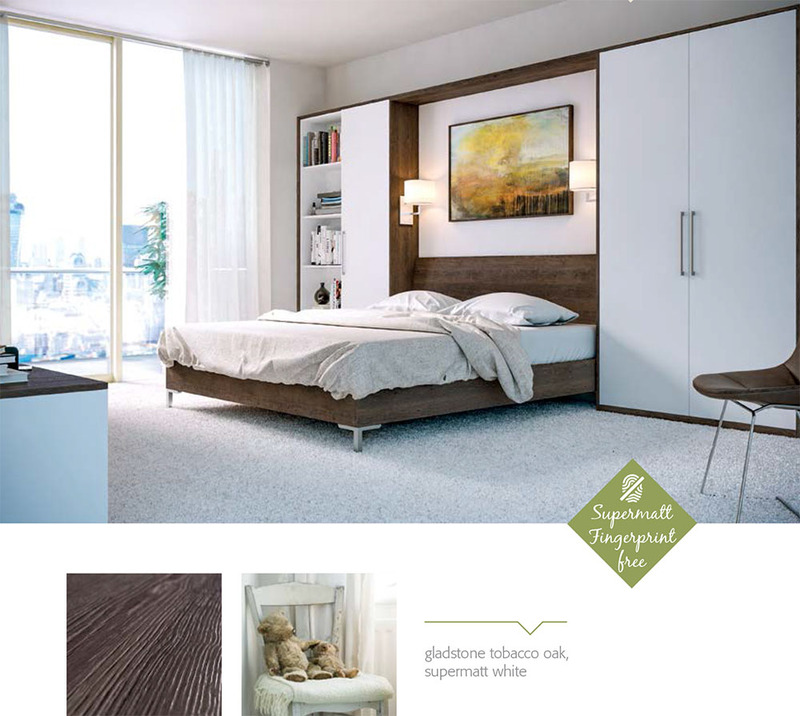 • Zurfiz doors are FSC® or PEFC™ certified and have attained the FIRA gold award. 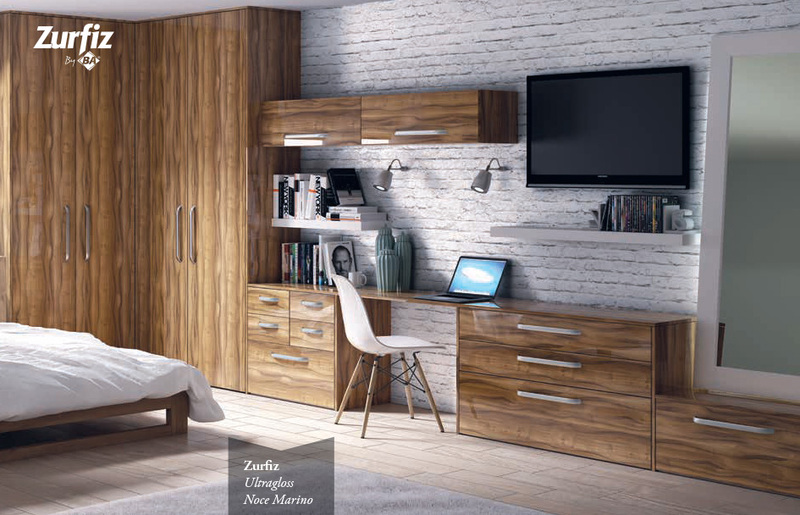 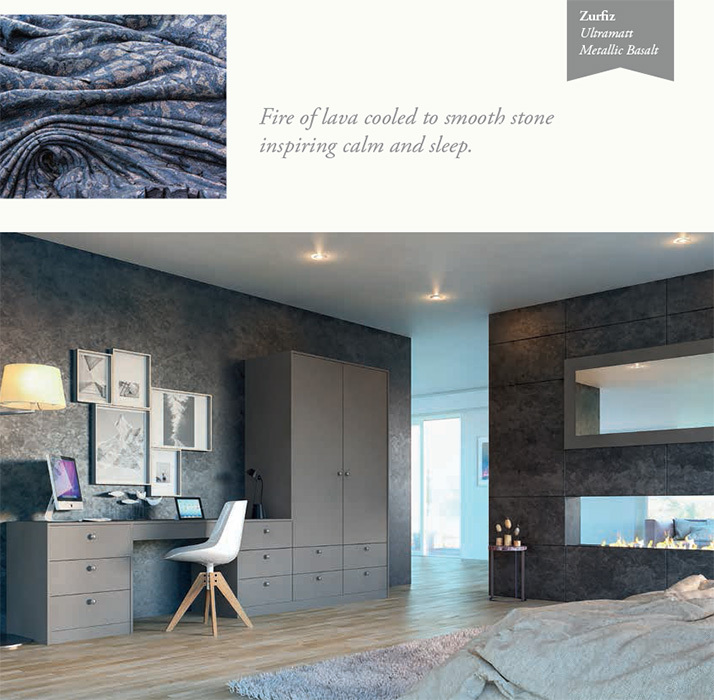 • The Zurfiz range carries a 6 year warranty. 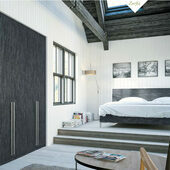 • Market leader in made to measure vinyl wrapped doors. 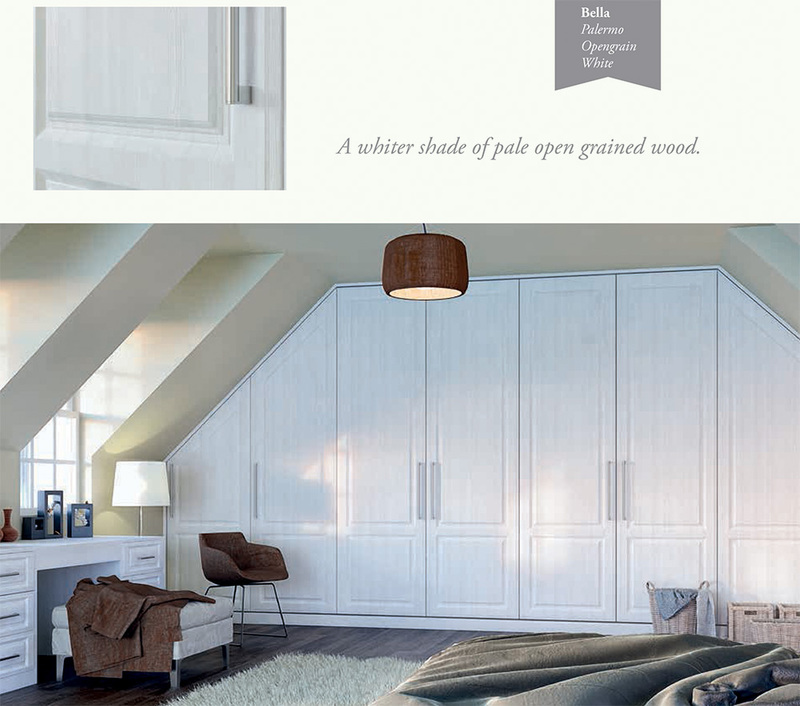 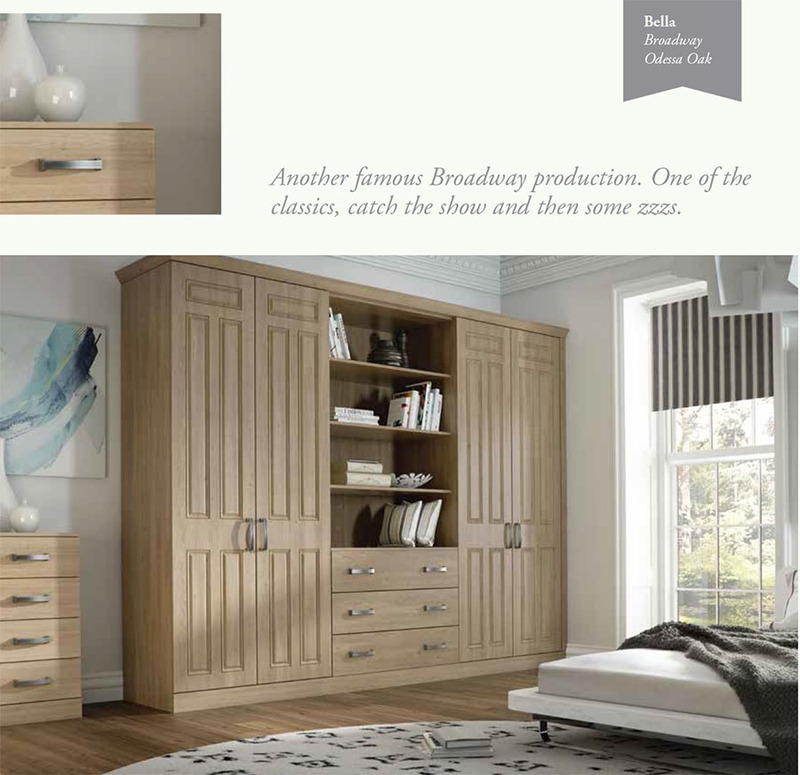 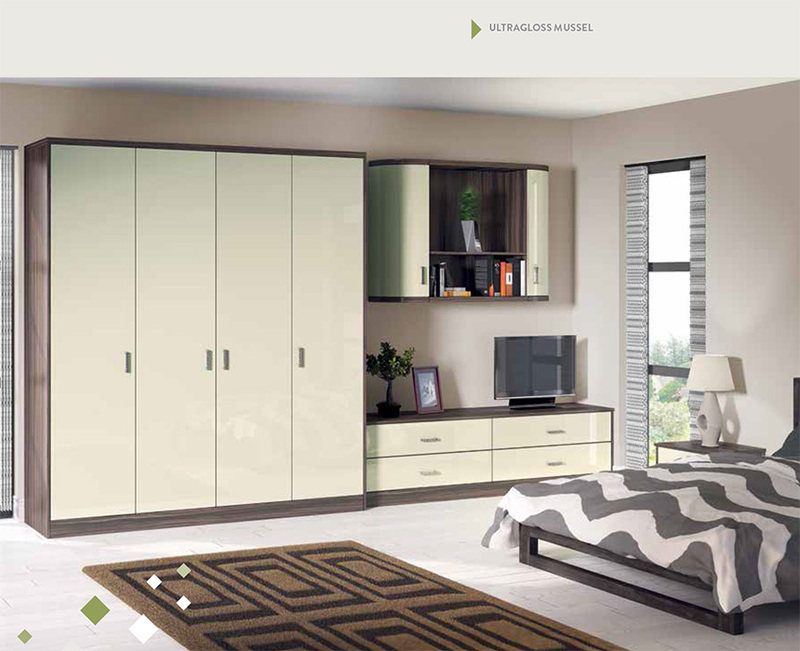 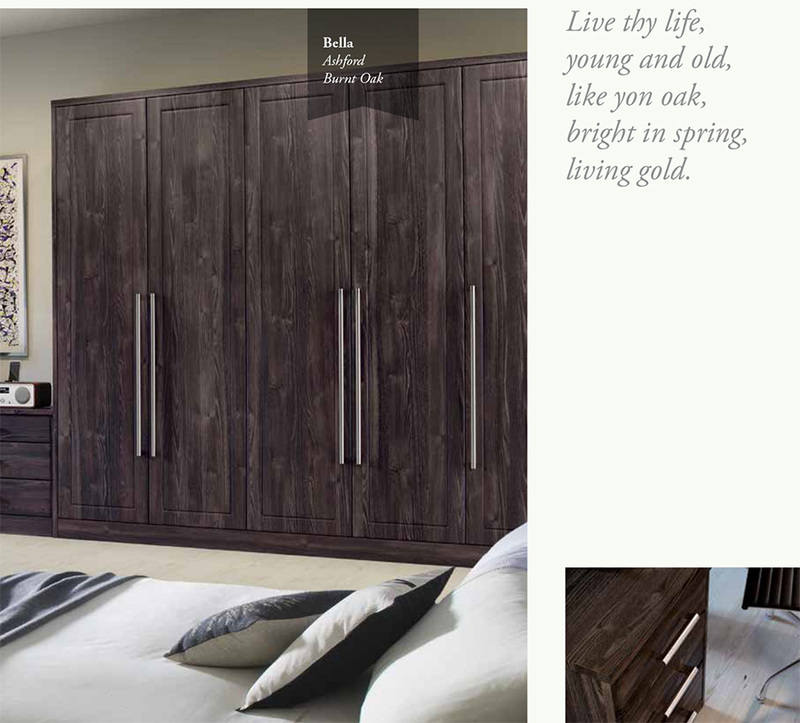 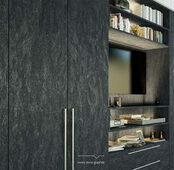 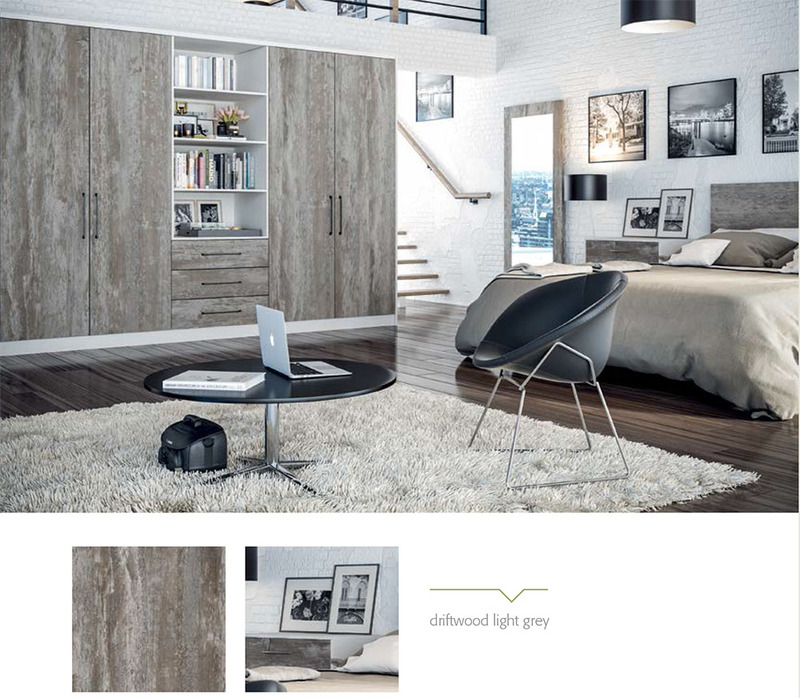 • Available in kitchen, bedroom, sliding, sloping and non-standard sizes. 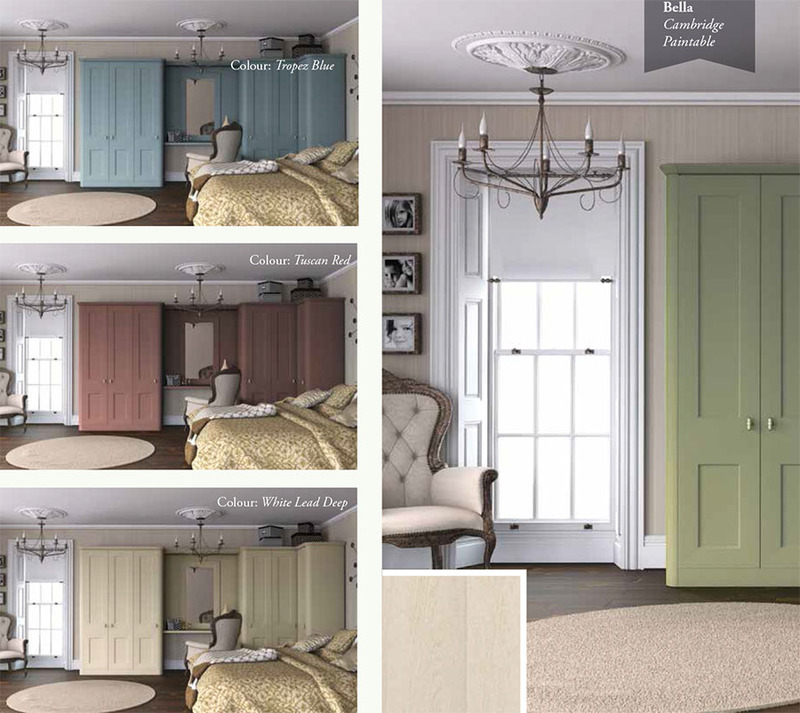 • Available in 37 colour options and 25 door styles. 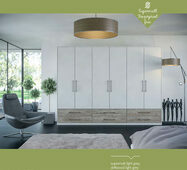 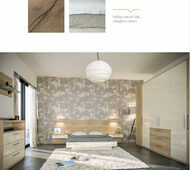 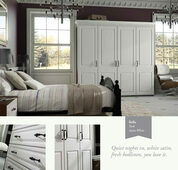 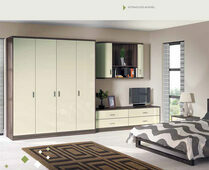 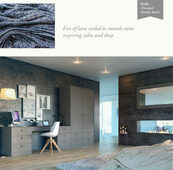 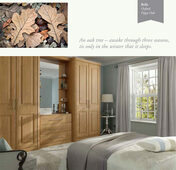 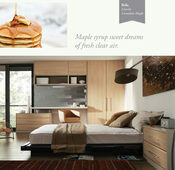 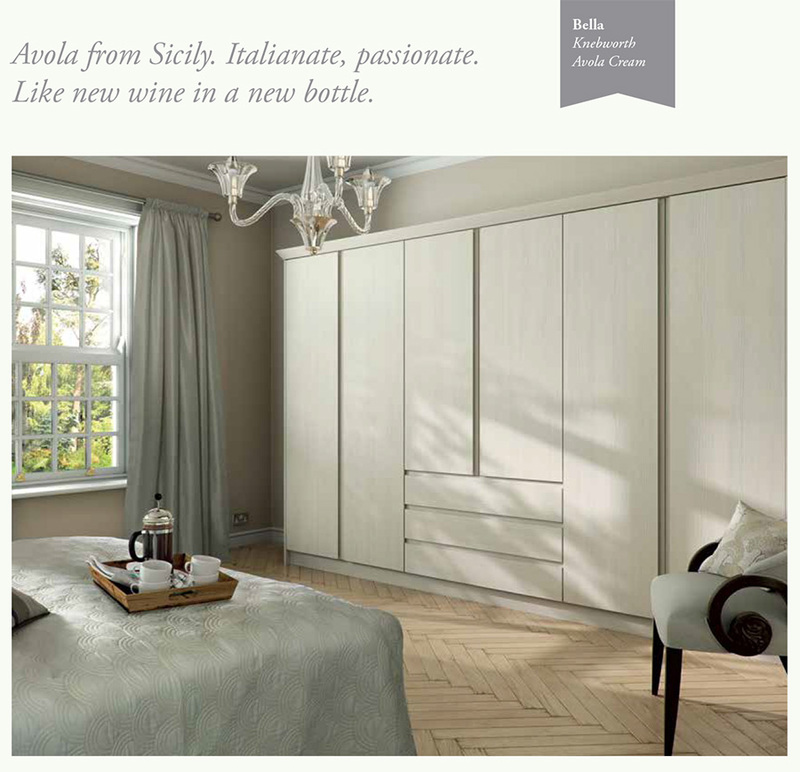 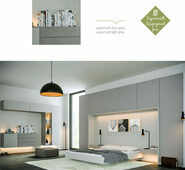 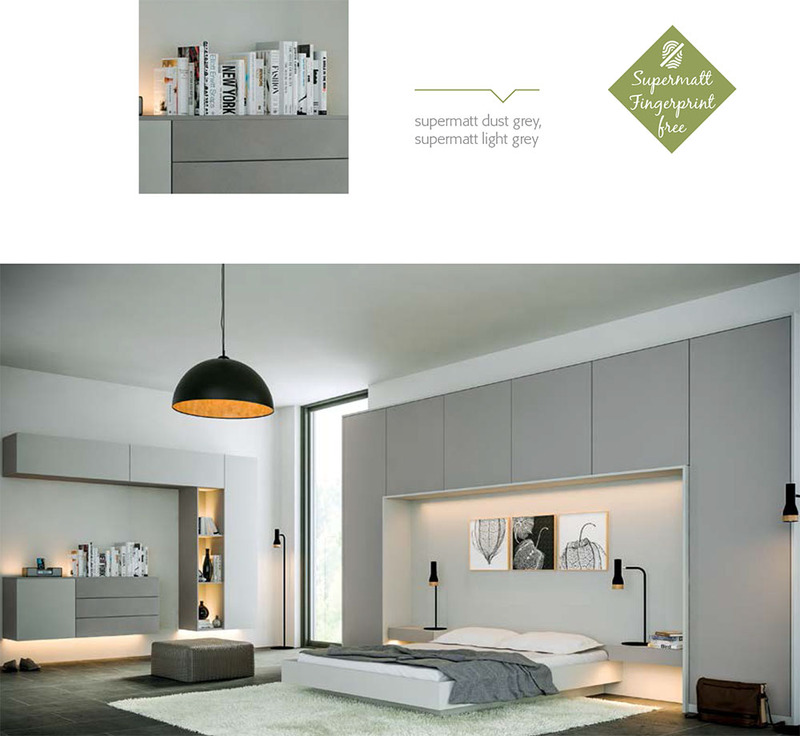 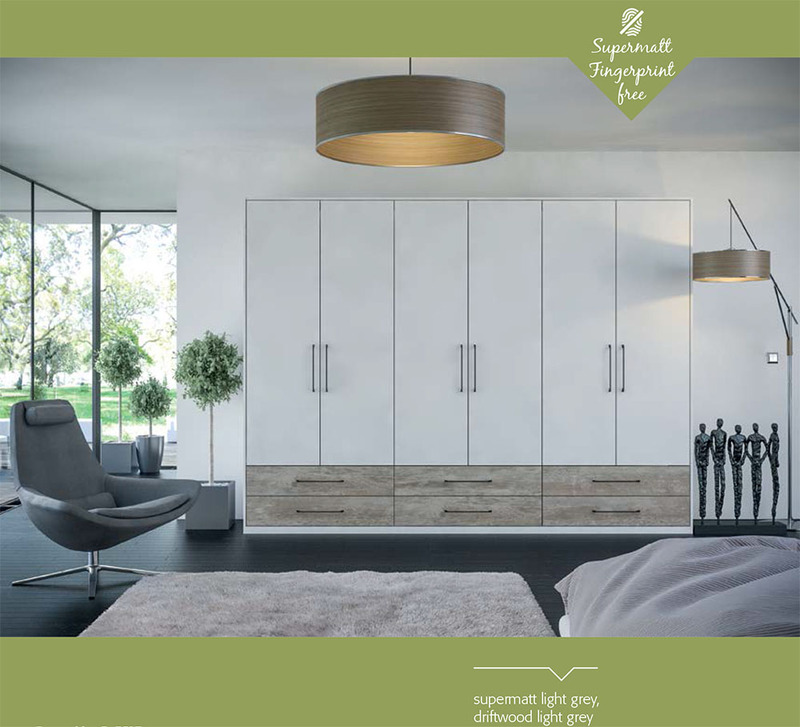 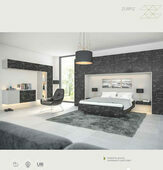 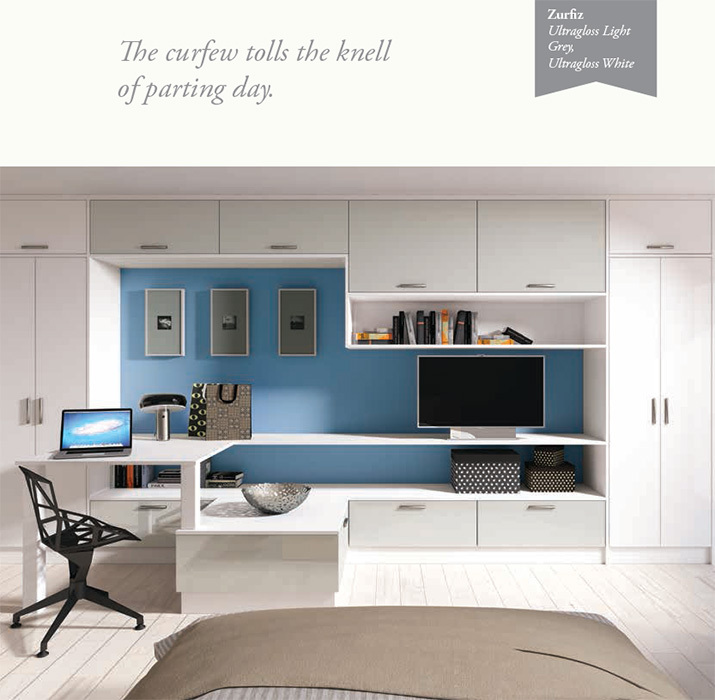 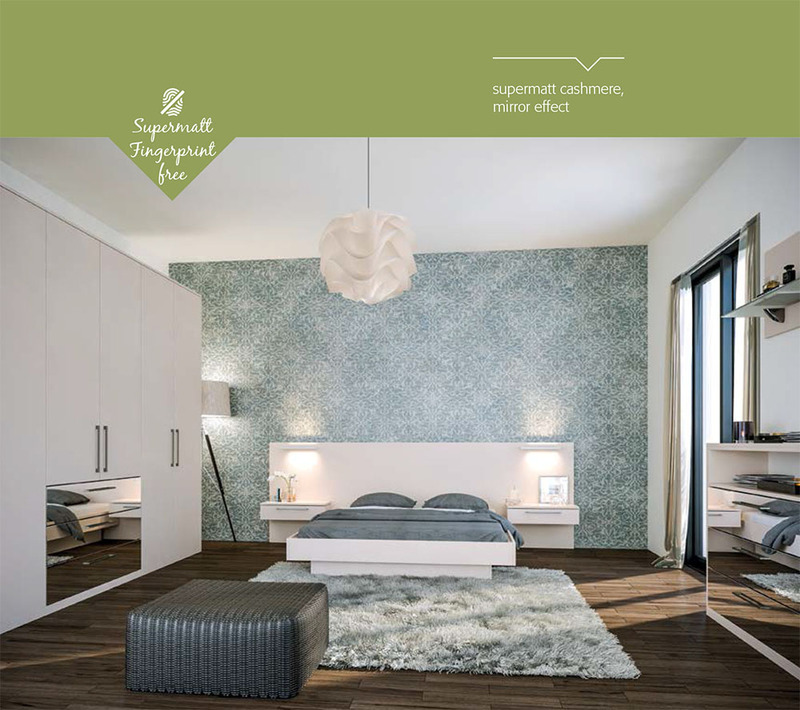 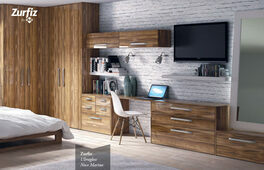 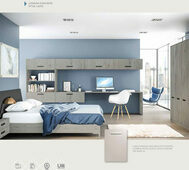 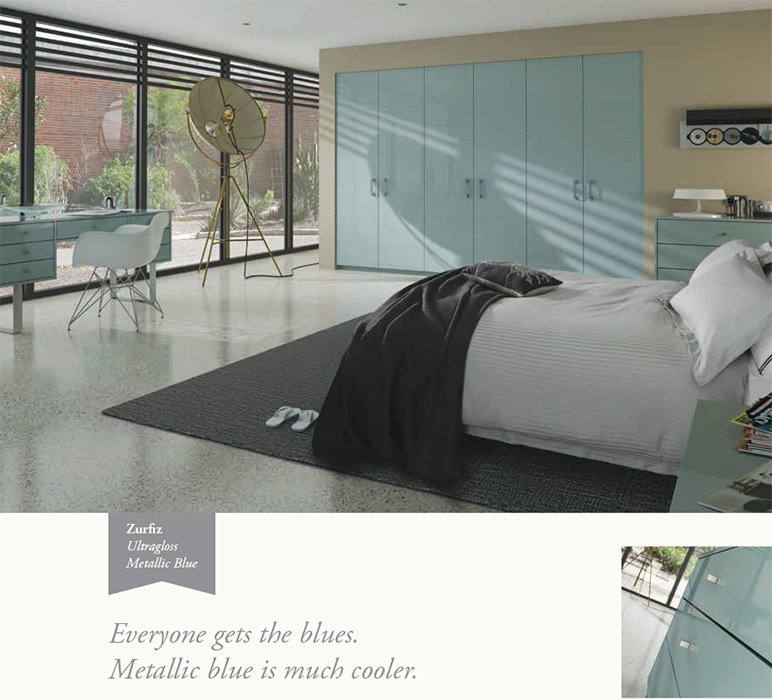 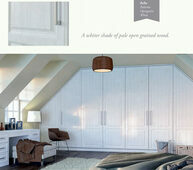 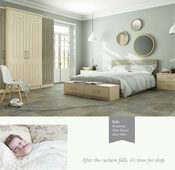 • Complimented with a wide range of matching kitchen and bedroom accessories. 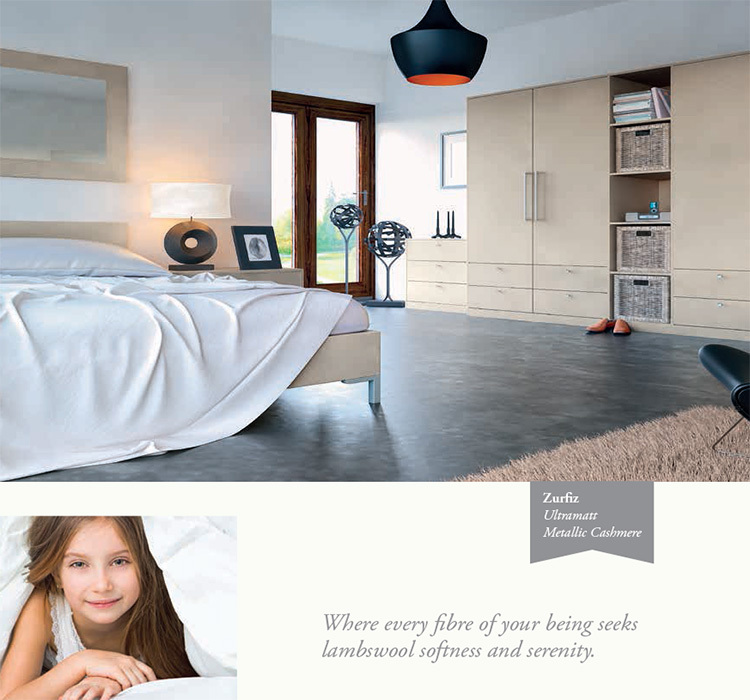 • 18mm MDF with vinyl wrapped surface finishes in matt and gloss PVC and PET. 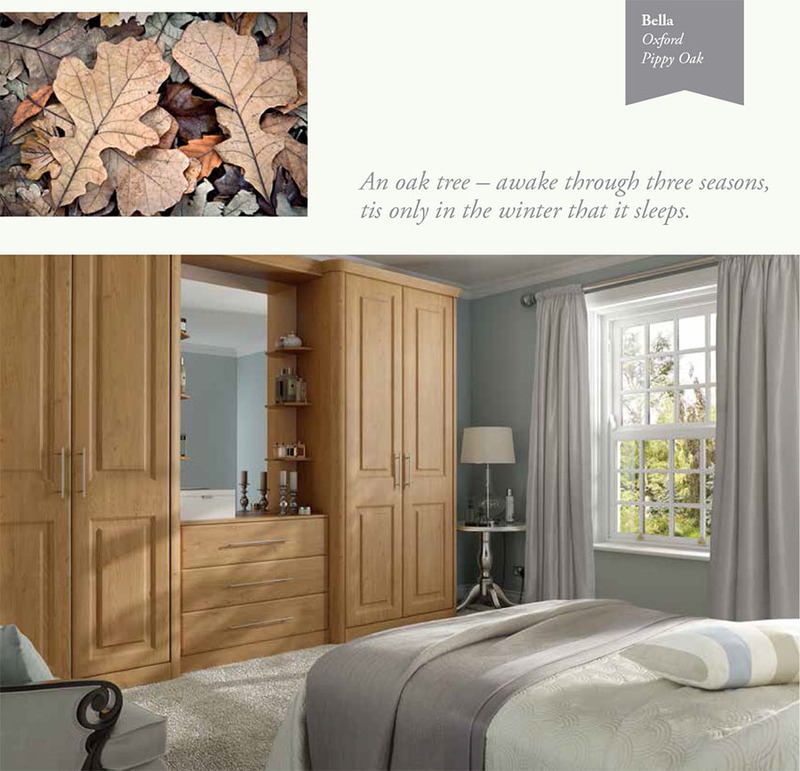 • Bella doors are FSC® or PEFC™ certified and have attained the FIRA gold award. 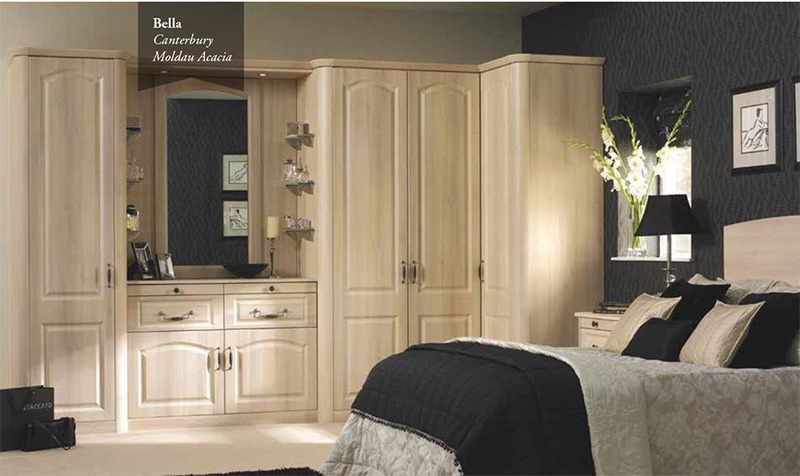 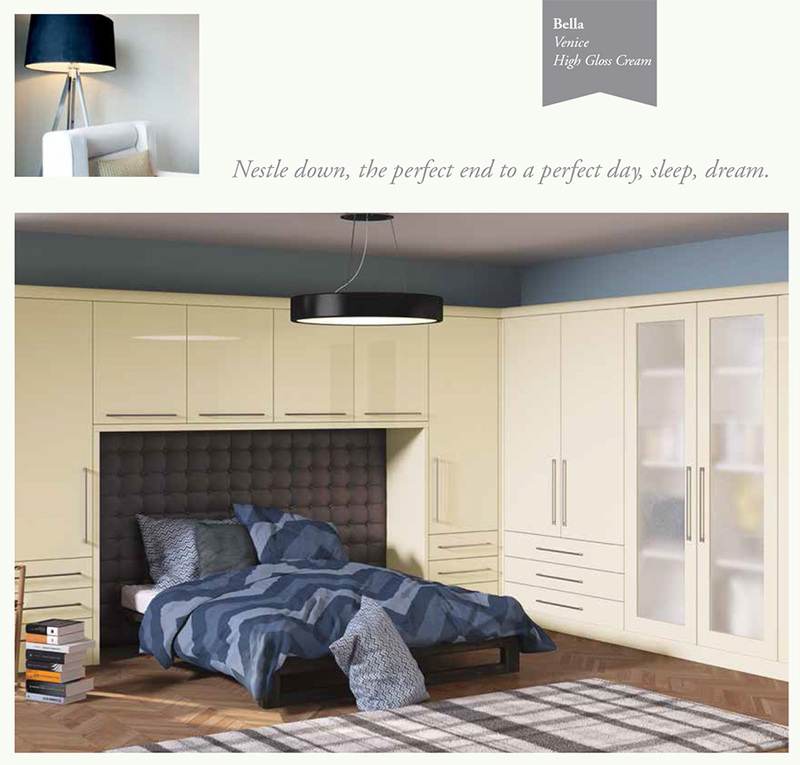 • The Bella range carries a 6 year warranty. 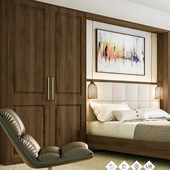 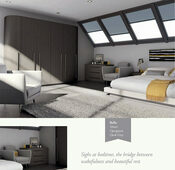 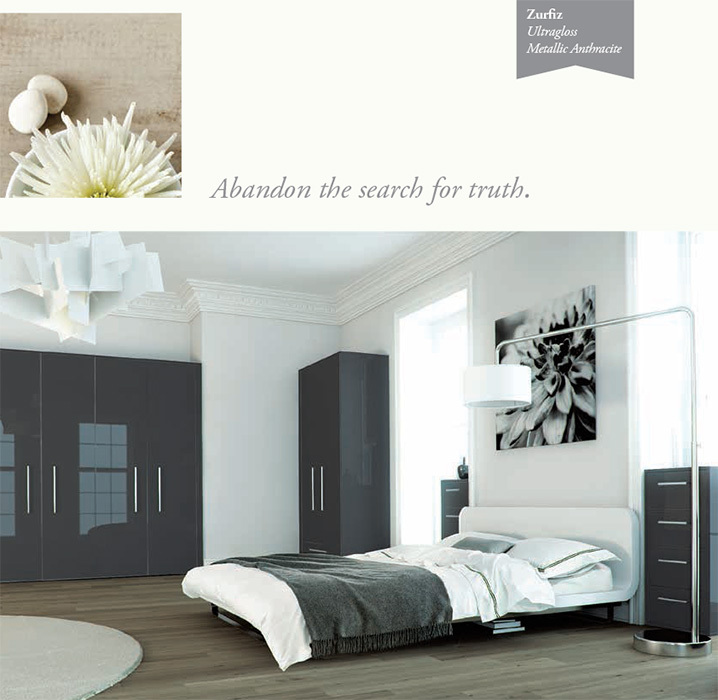 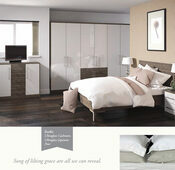 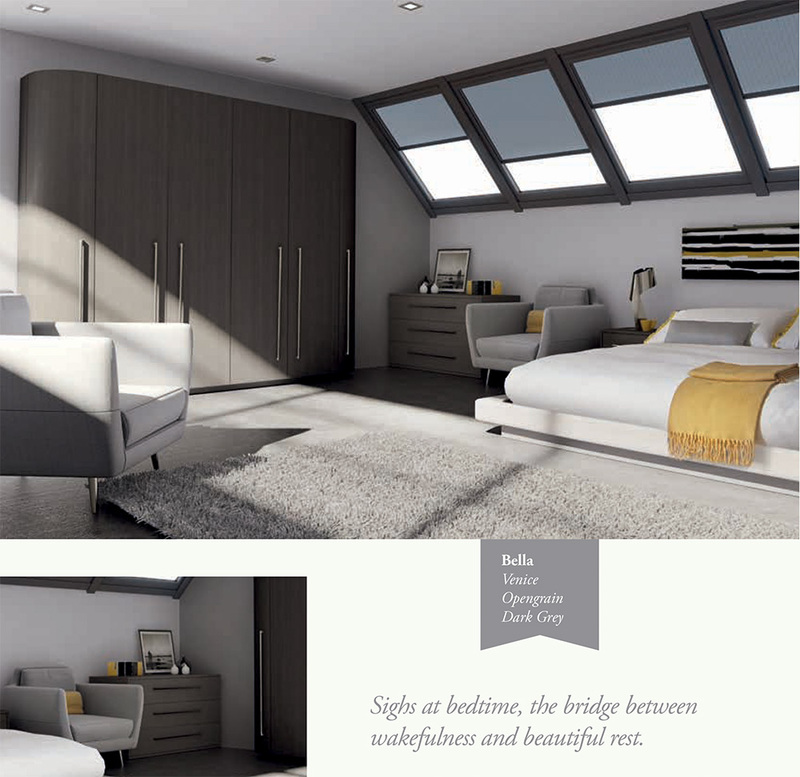 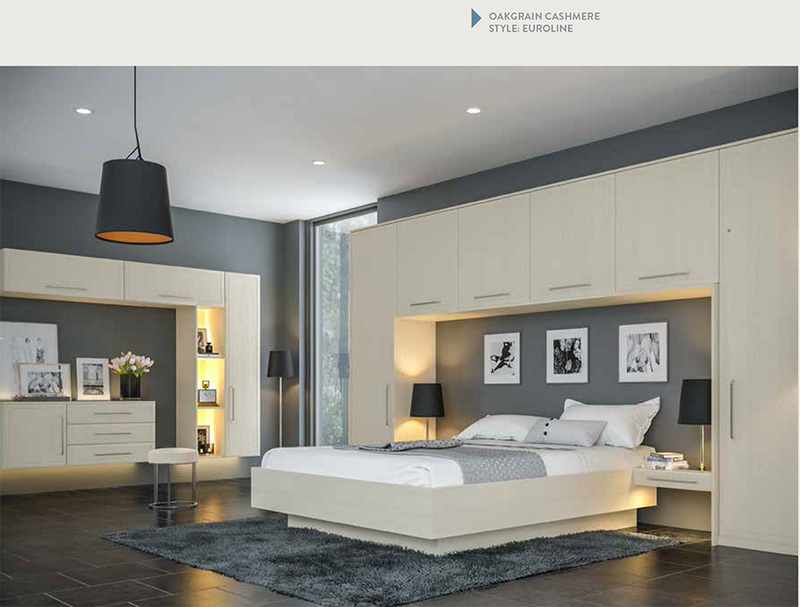 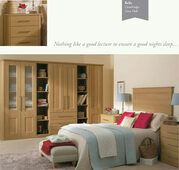 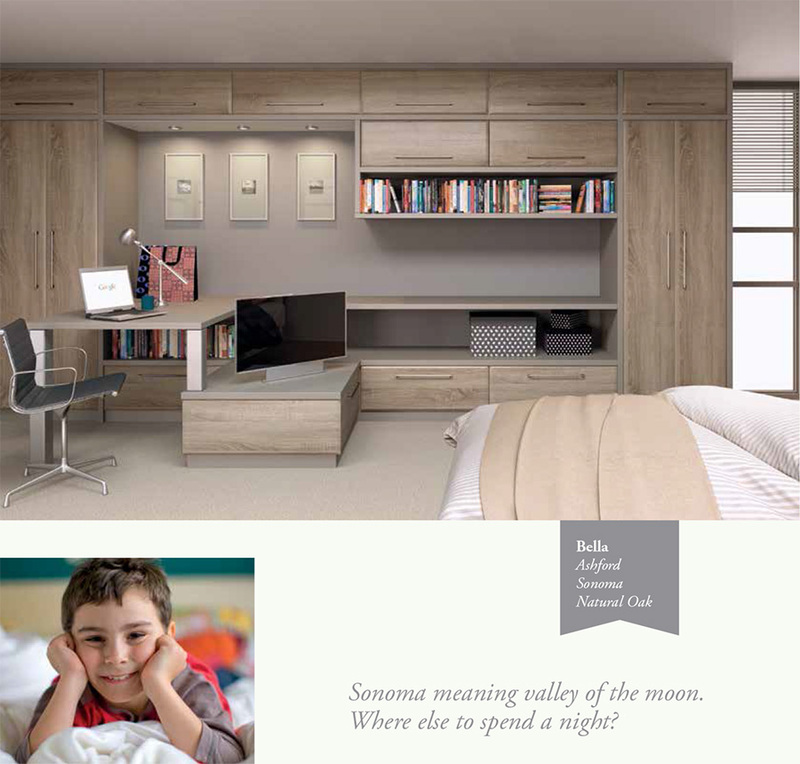 Always dreamed of that ideal bedroom space? 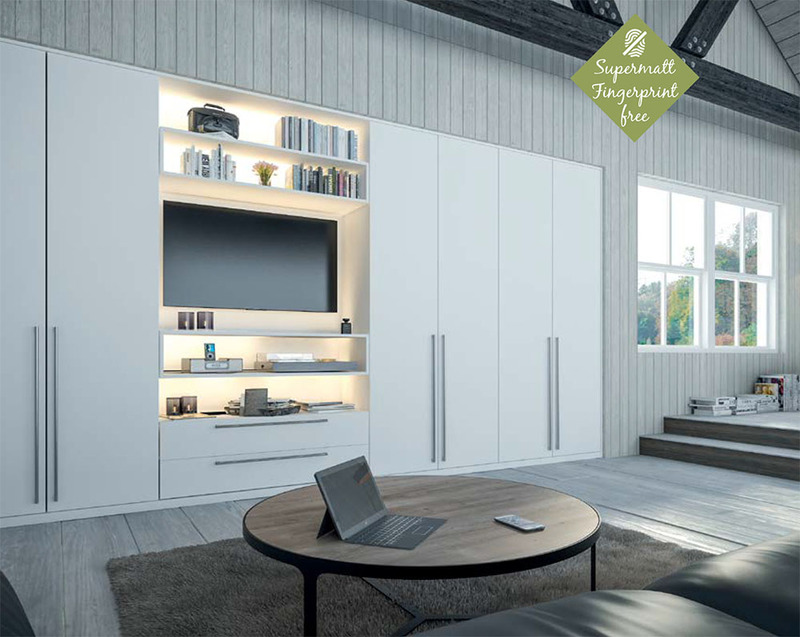 Need more storage ideas? Need more space? 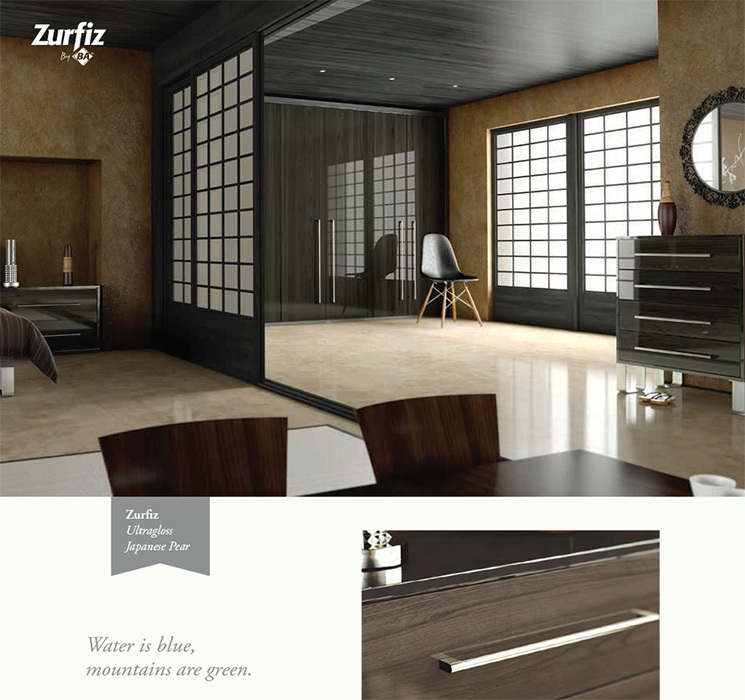 See Zurfiz, full of style. 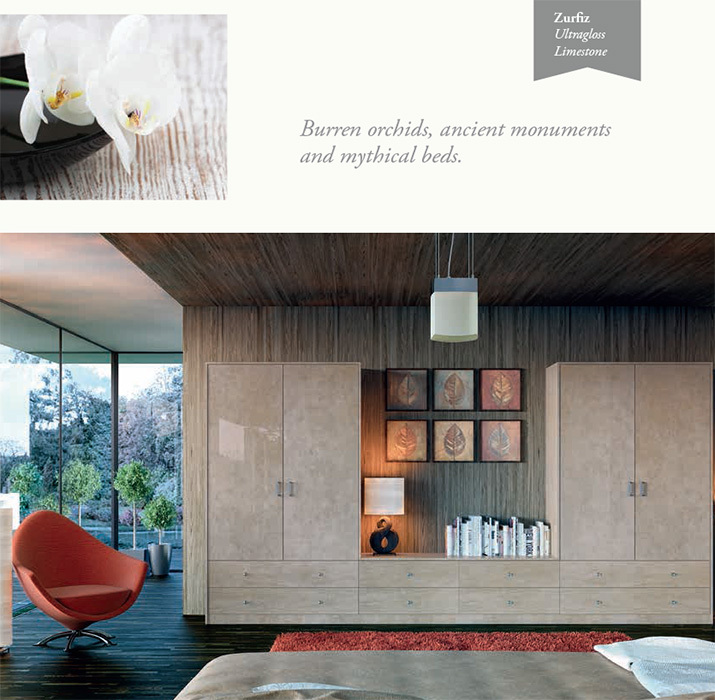 Of clean lines and a certain symmetry. 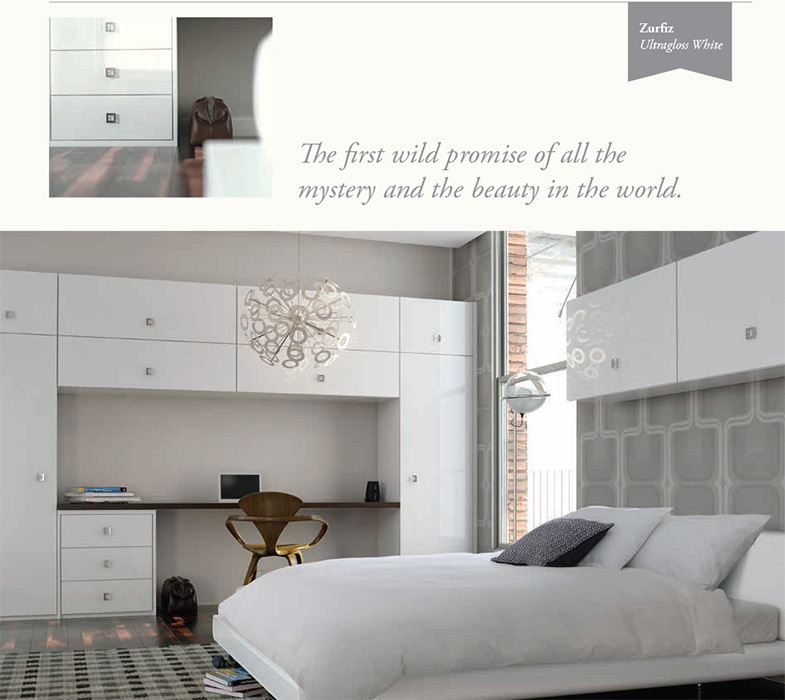 Who then wouldn’t be inspired by the European design, the finish, and the modern touch? 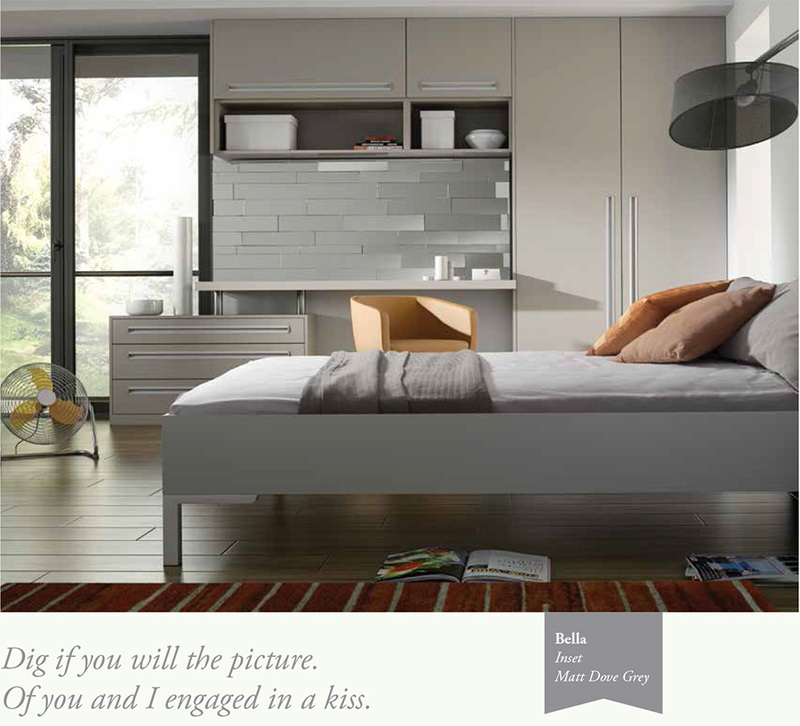 Call it contemporary life or timeless classic. 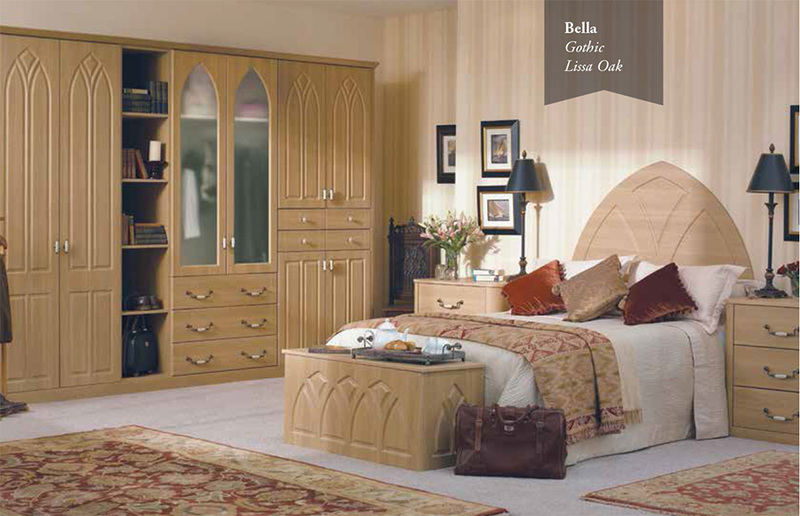 Let Bella be in your home. 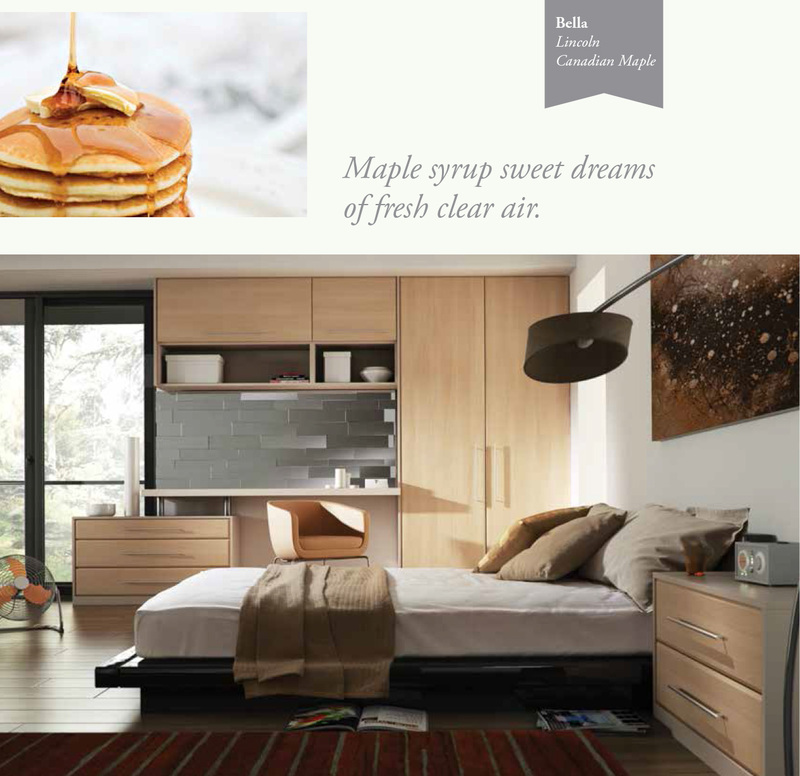 Something for every taste. 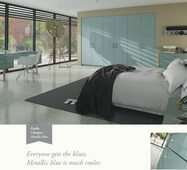 Flexibility, colour, style and made to measure. Let the craft inflect your choice. Take from the designs you see and touch.